cartridges are used in both our single and two-handle faucets. As the ceramic discs slide over each other in the single-handle faucet body, the spout is opened and closed, controlling water flow and temperature. In the two-handle models, ceramic quarter-turn cartridges control both water temperature and pressure, operating from full-off, to full-on, within the span of a 90° handle rotation. Ceramic is long-lasting and typically should not need frequent repair that could occur with some plastic cartridges. The durability of each Sir Faucet is proven through pressure testing, and all are constructed of solid metal. Plastic is never used as filler material. Whether kitchen, bathroom, tub or shower, all models in the extensive Sir Faucet catalog are innovative in their design and function. Our kitchen faucets are available in four styles: four-hole, bar, pull-out and pull-down. Bathroom models are offered in widespread, four-inch center or vessel designs. The tub set features a spray wand that extends to a full 84 inches. And, in order to assure that the finish of all our shower fixtures are identical, they are only sold as a 3-piece set. For your safety, we include a temperature/pressure valve with all of our shower sets. This limited temperature stop prevents scalding should water pressure change. 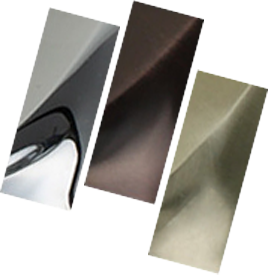 Three distinct finishes are available for all of our faucet models. 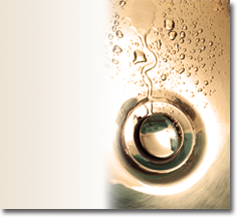 CHROME - The classic choice in faucet finishes. Chrome is applied to the brass base by means of a plating process. It is then polished to a brilliant shine that will not tarnish. BRUSHED NICKEL - The hottest trending finish in home dècor, a brushed nickel finish is applied by a process known as PVD (Physical Vapor Deposition). PVD uses vacuum coating techniques to deposit a thin layer of metal film over the faucet, creating a surface resistant to both corrosion and the appearance of minor scratches. All Sir Faucet products have the approval of the ADA (American Disabilities Association). This means they are user-friendly and safe to use. The standards of the NSF public health and safety organization, are also met by Sir Faucet. This third-party certification means that our faucets have been independently reviewed and the final product complies with specific standards for safety, quality and performance. 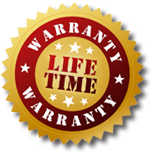 Now you understand why we proudly and confidently offer a limited lifetime warranty for each of our products.